Toshiba Corp. said Tuesday (Dec. 13) the introduction of HD DVD players here will be delayed. Toshiba attributed the delay mainly to the unavailability of Advanced Access Content System (AACS) licensing. 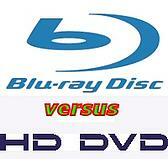 DVD Forum has adopted AACS copyright management as an integral part of the HD DVD format. Toshiba had planned to launch its HD DVD products only after AACS is finalized, Toshiba said in a statement. Toshiba hoped to introduce HD DVD players by the end of 2005, ahead of Blu-ray Disc players, but decided in September to postpone the U.S. introduction until 2006. Toshiba said it had completed the design for its HD DVD players for both the U.S. and Japanese markets and was ready for volume production at its Japanese manufacturing facilities.